Caution! Most companies in the online writing industry fail to offer Money Back Guarantees for the work that they do. When their customers are not satisfied with the work that they do, there is often no resource. 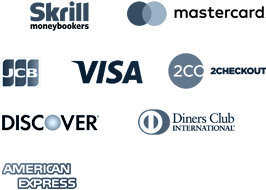 Many of these unscrupulous companies do not return their customers’ money as they promise. At Buy-essay-writings.com the opposite is true. Any student can feel safe when he or she chooses to buy a custom essay online from Buy-essay-writings.com, even though the price is remarkably cheap. Every custom essay written by our team of professional writers is fully guaranteed. The Money Back Guarantee of our writing service gives every customer the right to request and receive full refunds at any stage of the writing process, should anything go wrong. This includes any problems that one may encounter. Our paper writing service secures the interests of our customers with every order. Our company, including our dissertation writing service, enjoys a high rate of customer satisfaction. Fortunately, refund requests are rare, because of our dedication to delivering a superior essay writing service to every customer. We process all refund requests within 4-6 business days. When customers order a writing service from Buy-essay-writings.com and decide to cancel their orders before a writer has been assigned to work on it, a 100% refund will be given. In the case that one orders a paper writing service, article writing service, research paper writing service etc and requests a refund after a writer has been assigned, (as confirmed by the status bar at the top of the order page), the refund amount will be determined based on the paper’s deadline. Customers may claim a 70% refund, and this goes for dissertation writing service as well if less than half or half of the time period before the deadline has passed. We will refund up to 50% if more than this time period has passed. The reason for this is because our writer should receive a compensation for the work that he or she performs for services rendered. In the case of a cancellation for a paper writing service, Buy-essay-writings.com does not issue refunds for any writing service if the custom essay is complete and delivered to a customer’s order page on time. In the case that the paper has been delivered promptly within the parameters of the stated deadline and paid for, the customer can only receive a refund for essay writing service due to any concerns about the quality of the document. There is a “Refund” button on the online order page that can be utilized for this purpose. What happens if I paid for my order twice? When you buy papers from Buy-essay-writings.com for a cheap price, and determine that you have issued payment for essay writing service twice, please do not hesitate to contact our customer service department. We require that our customers forward both receipts to customer service. The additional payment will be refunded in full as quickly as possible. What happens when I accidentally place more than one order? Customers that inadvertently complete a payment for more than one identical order may contact our customer service department right away to request a refund for the duplicate orders. It is the responsibility of the customer to cancel any duplicate orders prior to our assigning the writer to complete them. Failure to do so will constitute “Regular Order” status with standard refund policy applicable. You did not find a writer to work on my order! This situation only happens on the rare occasion. We strive to assign the best writer to work on any order. Should we not be able to fulfill the order, a full refund will be issued promptly. Should a customer request revisions by a writer that is different from the one that completed the order originally, the matter will be referred to our Dispute Resolution department where the claim will be reviewed and an appropriate refund issued upon request. Simply put, Buy-essay-writings.com completes papers on time. However, should a customer buy a paper that is completed late for some unforeseen reason, the customer may request a refund unless the lateness of the paper is due to the customer’s neglect to upload certain materials that are needed by the writer. If the first version of a paper is late and is not approved by the customer, that customer is eligible for a refund. All refund requests for late papers should be submitted from the customer’s personal order page, within 2 weeks (14 days) from the date that the paper is delivered. Refunds for lateness and price recalculations do not apply in the case of revisions. Revision deadlines are the same as deadlines set for the original paper. To lessen confusing, we request that customers make certain to choose an accurate deadline when the order is placed. The final submission needs to correspond with the date stated originally as the paper’s deadline. I am not fully satisfied with the quality of my paper. However, I accept it and will revise it myself. Can I get a partial refund? Customers can request partial refunds by notifying us via the "Refund" button on their personal order page from our website. They need to select, "I am not satisfied with the quality of my paper, et al”. If the customer chooses this option, he or she is provided with the word processing version of his or her paper. The customer then has 14 days to verifiable reasons to substantiate their claims, or their own revised version of the paper as an evidence. Upon completion of this submission, the customer has the potential to receive as much as 40% in refunded monies, at the discretion of the Dispute Department. To place a request for a partial refund after the customer has approved the final version of the order, we require that the customer contacts our customer service team. Failure to provide the required information for within 14 days will result in a full cancellation of the dispute, which will be then officially categorized as resolved. In the latter case, no refund will be issued. All partial refund requests should be submitted using the "Refund" button on your personal order page within 14 days from the time the paper is approved. Refunds will not be issued unless this procedure is followed within the 2-week time allowance. Any customer that is completely dissatisfied with the quality of his or her paper may request unlimited revisions or request a different writer be assigned to the customer’s order. Alternatively, if any customer that has not previously approved a paper can request a full refund via the appropriately labeled button on his or her personal order page, on the Buy-essay-writings.com website. He or she should then choose "I am completely dissatisfied” et al… with the quality of the paper” which is one of the options on the pull down menu. Failure to comply will result in the refund request being cancelled and not issued. Please note that, although a customer may be able to apply for a full refund for such types of services as professional editing, rewriting of any portion, proofreading or resume-writing, their papers will never be published on-line since they may contain the customer’s personal information. Again, all refund requests should be submitted through the "Refund" button on the customer’s personal order page within two weeks from the paper’s completion. I would like to receive a refund for an additional service/feature. Customers that place an order using Buy-essay-writings.com’s “Progressive Delivery” feature have a 21-day window in which to obtain an initial approval. Once the customer has expressed an approval via the Progressive Delivery section of the website and has proceeded to the following section of the order process, a refund cannot be given for the previously approved section. The exception is the last section of the order that is delivered. All sections of the order that are approved using the appropriate button on the website are non-refundable. A $5 non-refundable deposit is required for our writer’s sample service. We request that all customers check their samples on time. Failure to request a writer that is different from the one originally assigned within the given time frame will be regarded as acceptance of the assignment of the original writer. Customers that pay an extra fee for an ENL or Advanced writer but that do not receive a writer of this level of expertise; will receive a refund for the extra fee. I got my completed paper order, but I forgot to approve it. Buy-essay-writings.com allows customers a period of 14 days in which they can approve their orders. Approval time is calculated automatically, and begins at the moment when the last version of a paper is uploaded to the customer’s personal order page. Failure to request a revision to the order or to approve it within 14 days constitutes an automatic approval.